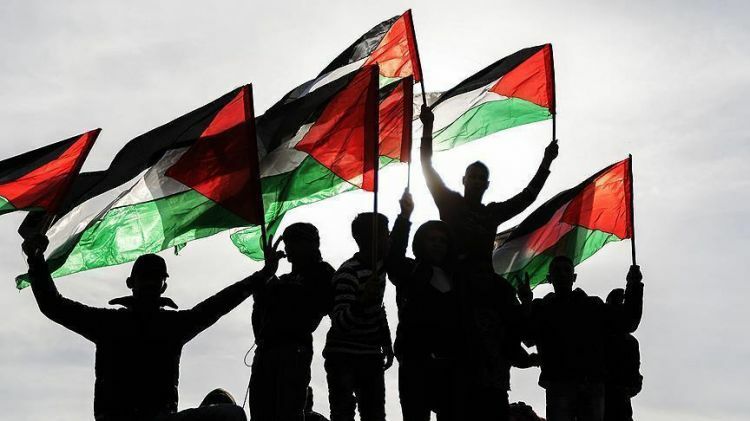 Resistance groups in Palestine won't remain silent to Israel's killing of civilians, the Palestinian Islamic Jihad movement said early Saturday. The movement said resistance groups had warned Israel not to kill innocents, but occupation forces continue to do so under the Gaza Strip’s blockade. It added that the groups' hands “won't be tied” over the killings. Israel launched airstrikes early Saturday against several targets in the Gaza Strip in response to over a dozen rockets it said were fired toward the country. Fighter jets and helicopters pounded targets in Gaza for more than two hours, including Hamas sites, the Israeli army said in a press release. The army said on its Twitter account that 14 rockets had been fired from Gaza towards Israel since late Friday, but eight were intercepted by its Iron Dome missile defense system. There have been no deaths from the airstrikes, according to Palestinian medical sources in Gaza. The latest developments come after five Palestinians were killed and 85 others injured by Israeli army gunfire during demonstrations Friday along the Gaza-Israel buffer zone, according to Gaza’s Health Ministry. Hundreds of Palestinians had converged along the zone as part of ongoing demonstrations against Israel’s decades-long occupation. More than 200 Palestinians have been killed and thousands more injured by Israeli troops deployed near the buffer zone since such rallies began on March 30.